You can put on the brakes if you have been cruising the Internet looking for a private detective in Coral Springs, Florida. Saffron Investigations is the leading agency of its kind in the area, and we take our reputation very seriously. We are in a results oriented business, and you can rest assured that we will obtain the information that you need when you engage our private detective agency. Coral Springs is a true Broward County jewel. It has been recognized as one of the best places to live in the state of Florida, and everything that the metropolitan area has to offer is nearby. We know the city well, and we are always standing by to assist its residents. From the Coral Ridge Drive/Wiles Road area to the West Atlantic Avenue/Riverside Drive section, for private detective services in Coral Springs, Saffron is the right choice. It can be excruciating to go through life with suspicions about the covert actions of your spouse. If you think that your husband or wife may be cheating, you deserve to know the truth. We have a great deal of experience and expertise when it comes to infidelity investigations in Coral Springs, Florida, so we can and will get to the bottom of the situation for you. A police report will be filed after a motor vehicle accident, but these reports are not always accurate. There can be a great deal at stake if you have been injured and your vehicle has been badly damaged. More detailed information to support your side of the story can be invaluable, and our private investigators can gather it to bolster your case. All employers should definitely conduct detailed background investigations before they hire prospective team members. We offer this service as well, and our checks are comprehensive in nature. 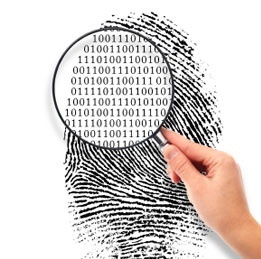 Our private detectives will certainly look for any criminal record that may exist, and we can also dig into the financial history of the candidate. This second stage is important, because people that are in deep financial difficulty may be tempted to cross the line if they have access to company funds. Now is the time for action if you have been thinking about hiring a private investigator in Coral Springs, Florida. We can be reached by phone at 754-229-3840, and there is a contact form on this website that you can use to send us a message.